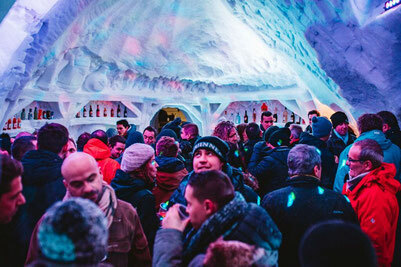 THE ICE BAR AT VILLAGE IGLOO - Site de village-igloo-avoriaz-en ! Enjoy a mid-ski break in one of our two snow and ice bars in the heart of the Portes du Soleil! in the middle of the Avoriaz ski domain. Whether you want an aperitif between friends, or you're looking for a different activity, our Ice Bar will not fail to surprise! Village Igloo proposes that you have a coffee on our outdoor terrace, where you can soak up the sun… Or come into the heart of the igloo where you will find the Ice Bar. Admire the bar entirely sculpted from snow and ice. 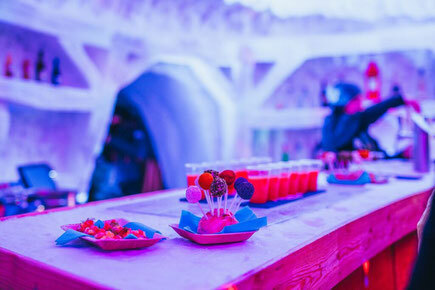 Avoriaz's Ice Bar is an unforgettable experience! 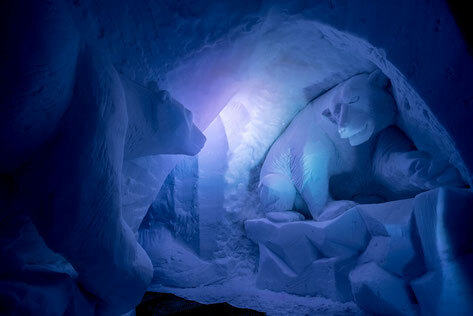 Discover the fantastic work of the professional ice sculptures! Highlighted by the beautiful and dreamlike light projections, don' be afraid and venture into the most magical place in Chablais.  If you don't ski, the Village Igloo Ice Bar is an original place to meet your friends and family on the slopes. Such a friendly environment! From the ski-lift 3S, it is a ten minute walk along a secure and safe path to where you will meet the rest of your group, on the Portes du Soleil slopes. and the Avoriaz ski station. 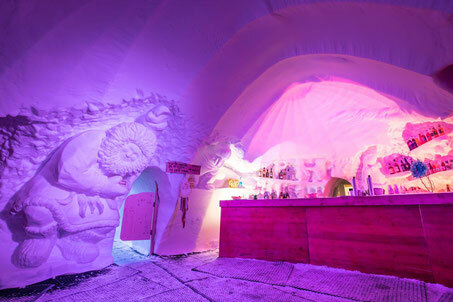 If you fancy finishing of your day in the Alps with an unforgettable experience, why not have an aperitif at Village Igloo after the the rest of the skiers have gone home? As night falls, we welcome you for gourmet and high-quality aperitifs!